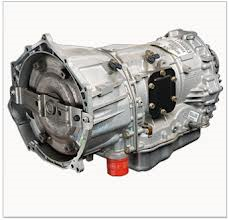 F4A22 transmissions are now offered in used condition through the retail sales portal at the Powertrain Guys website at http://powertrainguys.com/used-f4a22-transmission. The relationship between Chrysler and Mitsubishi from 1989 to 1997 helped to produce several top gearboxes used in popular vehicles in the United States. The Powertrain Guys company is now offering used F4A22 transmissions that are in used condition for sale through its website online at http://powertrainguys.com/used-f4a22-transmission. Vehicle owners or parts buyers representing body shops will have the ability to buy the front-wheel drive gearboxes that are now available. Tests have been performed and verified for compatibility with the standard 1.8-liter and 2.0-liter vehicles. All of the components that are provided in the used gearboxes are OEM editions. "The Diamond-Star products inventory that we are showcasing on our website now includes the F4A22 and other 4-speed assemblies," one Powertrain Guys sales rep said. The automatic transmissions now for sale through the PTG website for Mitsubishi vehicles include a full torque converter unit. These units are enabled to work with the standard and performance editions of Mitsubishi and Chrysler motors. A full components warranty is now being supplied with each F4A22 purchase this year. "We are now giving away a longer term warranty policy with every successful purchase of a used transmission sold through our website or phone center this year," said the sales rep. The Powertrain Guys company opened its publicly searchable inventory database earlier this year to help reduce search time for components in stock. All warehouse inventory that is available can now be researched 24/7 using the accurate tools now being provided for people who visit the company website online. The PowertrainGuys.com company supplies preowned condition powertrain components to the American public through its website. The company is now retailing Japanese and domestically produced vehicle parts on the web. The PowertrainGuys.com company has a sophisticated search portal now linked to its homepage that lists everything currently in stock as well as price data.